Expandable black tank bag. It can be connected with the RA317 handlebar bag (using the M.O.L.L.E. system). 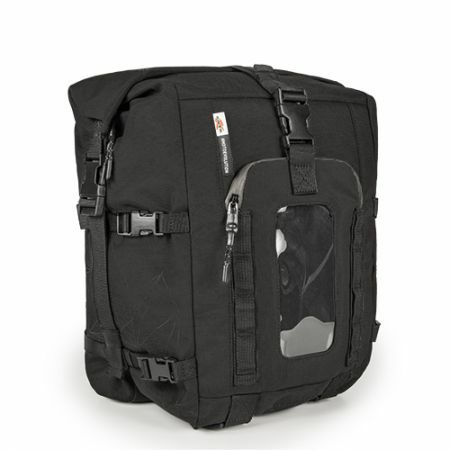 Expandable tank bag, mounted through magnets and straps, that can be also used as a backpack or a seat bag. It can be connected with the RA317 handlebar bag (using the M.O.L.L.E. system).